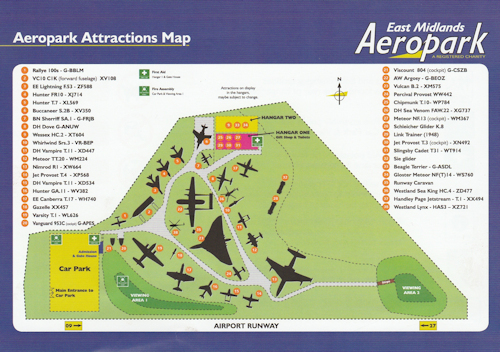 The Aeropark is located in the north-west corner of East Midlands Airport close to the village of Castle Donington and the Donington park Motor Racing circuit. It is well signposted from the Airport's main entrance. If you are using a Satellite Navigation system the postcode to use is: DE74 2PR. The SkyLink-Derby and SkyLink-Nottingham services pass the entrance of the Aeropark. The opening times for the Aeropark for 2019, we will be open on all Bank Holidays (with the exception of Christmas Day, Boxing Day and New Years Day). Last entrance to the Aeropark is 1 hour before closing time. Note: During the Winter period the Aeropark will be closed, In the event that there is a special event day we will open please look at our social media pages (Facebook, Twitter and our website) for details. Additional opening times or extended hours will be on display at the Aeropark on Facebook and on this web site. Car parking is free, but will be closed and be locked when the Aeropark is closed. The static aircraft that we have on display are all outside which gives a better viewing and photographic experience. 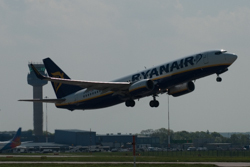 Internal viewing of the aircraft is made available on our special event days and occasionally at other times during normal opening hours subject to staffing and serviceability, this may be subject to an additional charge. 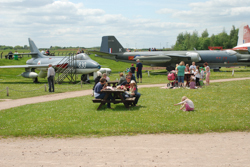 In addition to the aircraft on static display there are very popular viewing mounds where you can view the movements at the International East Midlands Airport, there are picnic tables on the viewing mounds and throughout the site. Toilets (male/female/disabled) are located in Romney Hanger 1 as is a shop (available on Sunday's) which includes catering for tea, coffee, light snacks soft drinks and confectionary as well as a range of gifts, models and toys. All facilities with the exception of the viewing mounds are suitable for the disabled and children in buggies/push-chairs. 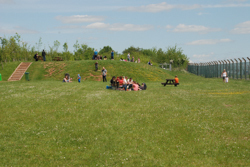 The viewing mounds are grassed areas and therefore are subject to the prevailing weather and therefore may be inaccessible to wheeled vehicles at times. Pets - With the exception of assistance dogs (Guide Dog's etc.) dogs and other animals are not permitted in to the Aeropark. The use of kites and playing of ball games etc. 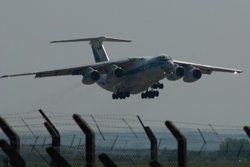 are NOT allowed in the Aeropark due to the danger of these going on to the airport land and causing a hazard to aircraft landing or taking off.